The Stones on Tuesday released yet another hits compilation with two new songs. 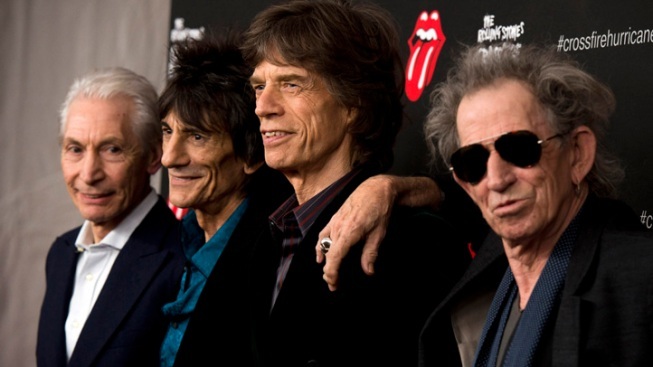 Rolling Stones band members, from right, Keith Richards, Mick Jagger, Ronnie Wood and Charlie Watts, are scheduled to play five concerts in London and the New York area over the next month. The official line is "we'll see." But the Rolling Stones seem in such fighting trim, clear-eyed and focused, that it's hard to believe there's not more cooking beyond the current flurry of activity surrounding the band's 50th anniversary.